Guitarist, composer , poet and filmmaker Susan McDonald has been playing the guitar since the age of six. Born in Houston, Texas to an artistic mother and a father who was a chemist, composer and harpsichord builder, Susan fell in love with the guitar at the age of four. Delighted by her newfound passion, she began giving little concerts on one string at the age of seven. By nine she was the assistant teacher in a community center guitar class, and by fourteen she was teaching in a music store. 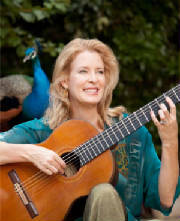 Susan's dedication to the guitar led to her acceptance as a student by the world-famous guitarist Pepe Romero, She spent many years touring the world both as a soloist and with orchestras, culminating in a successful solo concert at Carnegie Hall. She has released ten CDs, three of which have been Grammy-nominated, and has recently released her new DVD, THE AQUARIUM: A Marine Micro-Ballet for Guitar and Sea Creatures. Susan has recently been appointed to the Texas Commission on the Arts Touring Roster as one of only 124 artists of all disciplines chosen to represent artistic excellence in Texas. 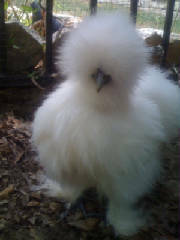 Susan and her husband live with their pet dog Kizzie, olive-throated conure Verdi, a host of Silkie chickens, and their peacocks Houdini, Wilhelmina and Pea Diddy. They are not planning to acquire any more pets. Susan and the Sea Creatures are now available for live performances!